Huynh Van Rang (born in 1931) of Binh Duong Province, Vietnam, conquered the highest mountain of Vietnam ‘Fansipan Mountain’ of height 3,143m also known as ‘The Roof of Indo China’, 4 times between 2007 and 2014. Recently, he conquered the same, on June 12, 2014. 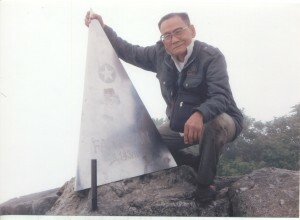 Comments for OLDEST TO CONQUER FANSIPAN MOUNTAIN are now closed.